According to a new study on mice, dietary exposure to the phytoestrogen genistein prior to conception may impact female fertility and pregnancy outcomes. Genistein is one of many estrogens that can be found in certain plants. During recent years, a growing body of research has raised concerns regarding the potential fertility risks, as well as other health risks, associated with exposure to plant estrogens. Genistein is an isoflavone found in a number of plants, including soybeans and fava beans. Genistein is also included in certain dietary supplements. In the United States, the National Institute of Environmental Health Sciences has classified genistein as an endocrine disruptor since it can interfere with bodily systems controlled by hormones. The study was carried out using adult female mice. The mice was divided into three groups + a control group. The control group was fed food free of soy- and phytoestrogens. The other three groups were fed a diet containing 300, 500 or 1,000 ppm of genistein, respectively. Since the researchers wanted to know if duration of exposure was a factor, the groups of mice that were fed genistein were exposed to it for 30, 60, 150 or 240 days. Blood tests from the mice fed genistein showed blood serum concentrations of genistein equivalent to those found in women who consume soy foods or genistein-containing dietary supplements. After 150 days, the mice that had been given 500 ppm or 1,000 ppm of genistein were less likely to conceive when they mated. In both of those groups, only 83% of the mice were fertile. After 240 days, the mice that had been given 500 ppm still had a fertility rate of 83%. For the mice given 1,000 ppm of genistein something very interesting had happened – they were now at a 100% fertility. 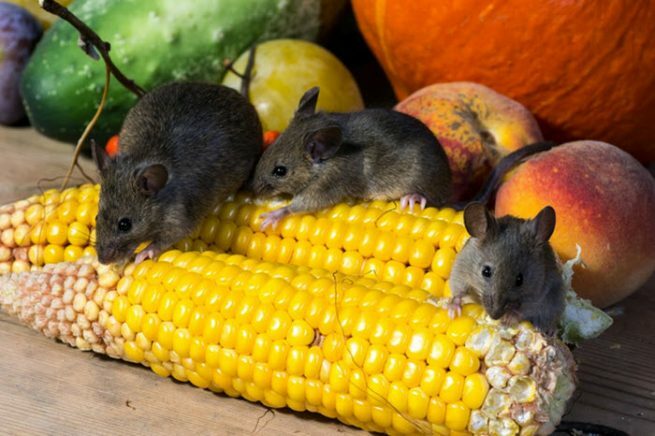 For the mice given just 300 ppm of genistein, the fertility rate was 50%, while the mice in the control group had a fertility rate of 67% – which is considerably lower than the 83% and 100% experienced by mice fed 500 ppm and 1,000 ppm genistein respectively. Mice exposed to genistein for 240 days produced the normal number of pups per litter, but the pups were smaller than normal. Also, the adult mice had an increased likelihood of killing their pups. Preconception exposure to dietary levels of genistein affects female reproductive outcomes. Authors: Shreya Patel, James A. Hartman, William G. Helferich, Jodi A. Flaws.